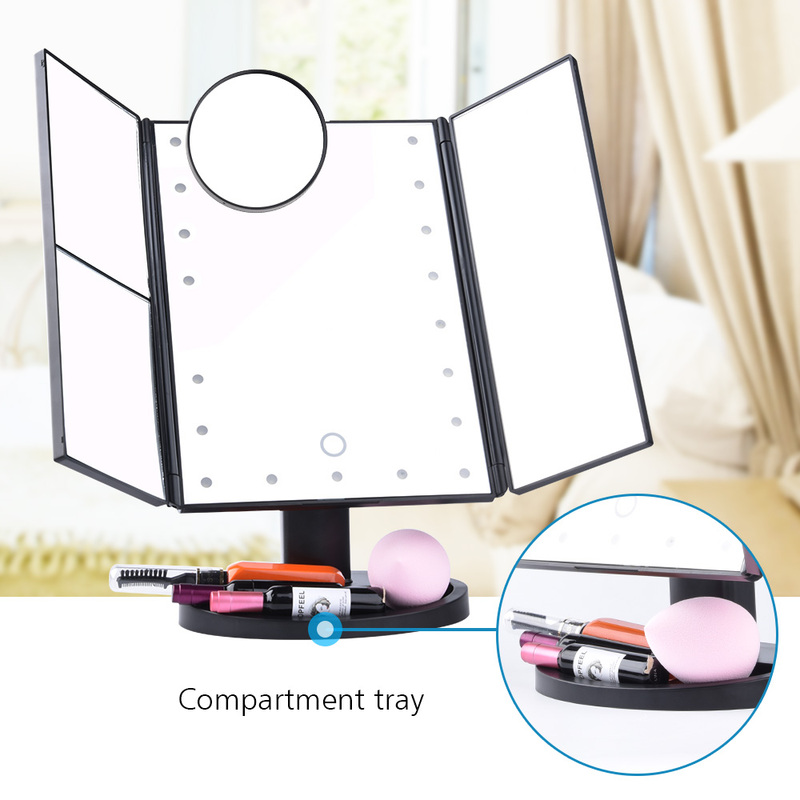 ❤Built-in 22pcs LED Light: The vanity mirror with lights allow you get good light when doing your make up in a dimly lit room, let your makeup keep perfect every time. The light will not be too bright nor too dark, you are able to dim and brighten the light by touch the point on the mirror. 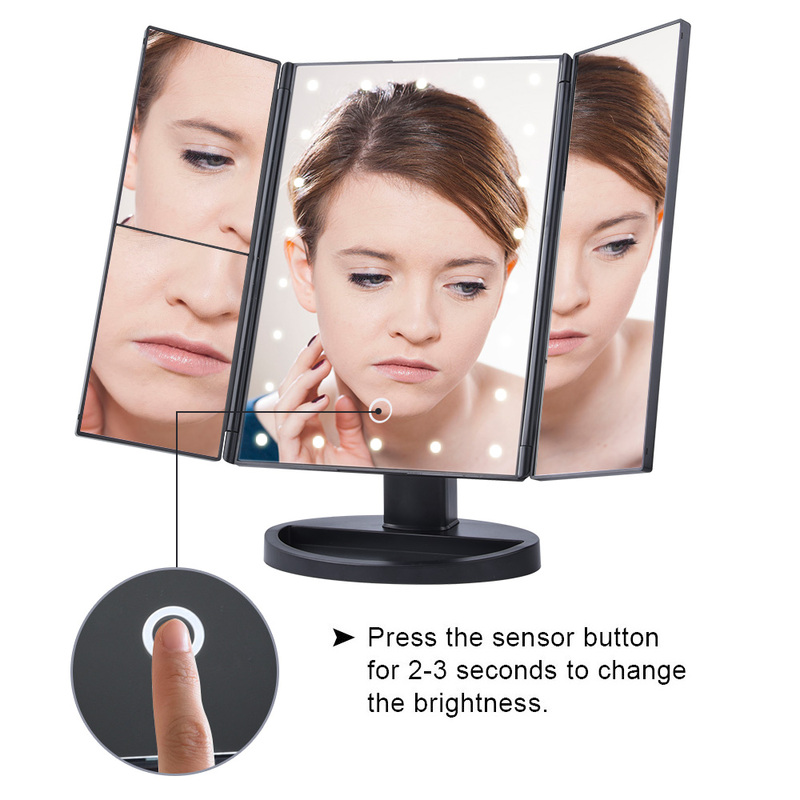 ❤Three Panel with 2X/3X/10X Magnification: Our makeup mirror provide you more wide-angle viewing and help you see even the face features clearly while doing your makeup, the trifold design also can protect it away from the dust or scratches. Always let you have a clear viewing. 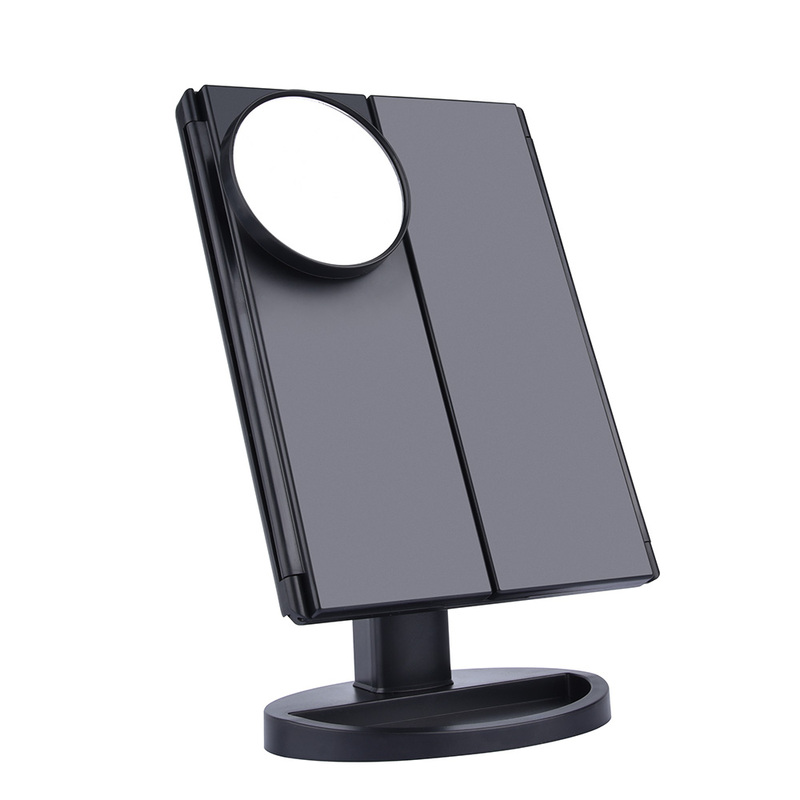 ❤180-degree Free Rotation: The lighted makeup mirror stands on base recess can be freely adjustable to tilt up or down, fix at any position to give you the comfortable and perfect viewing angle. 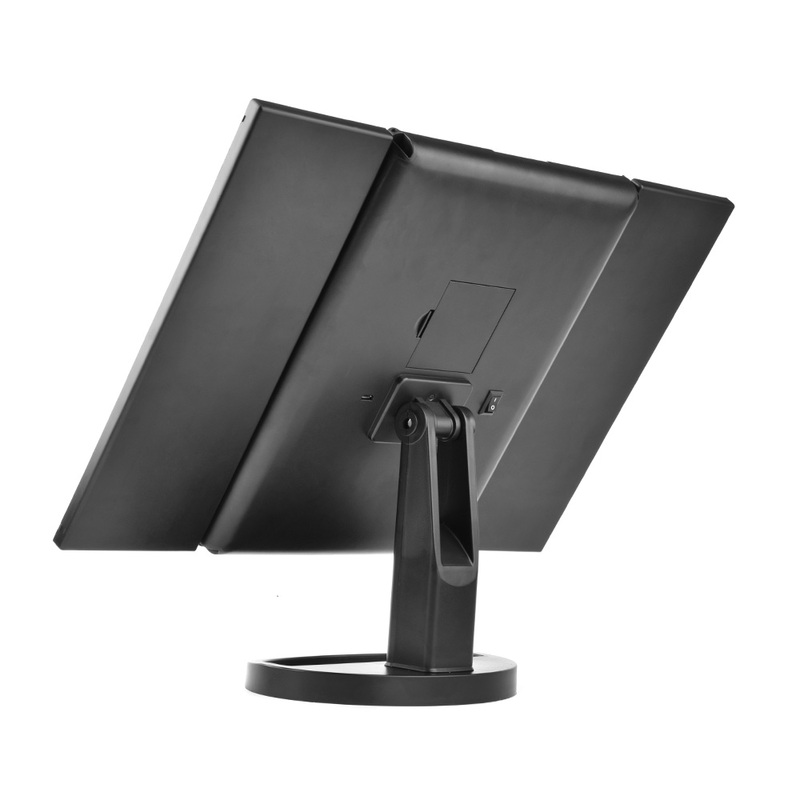 It can be folded like a book size to save room while you needn't use. 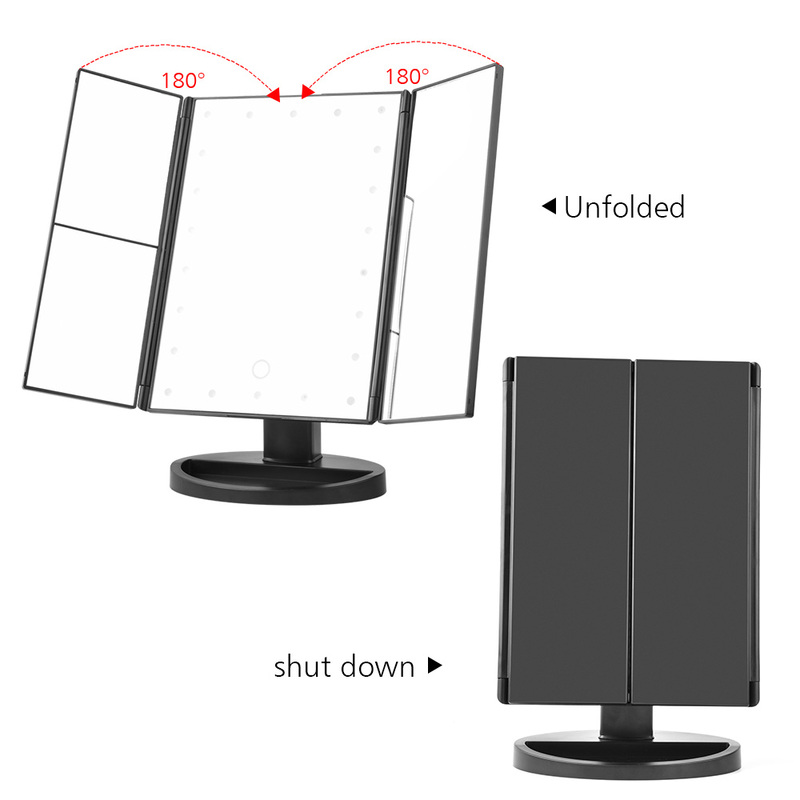 More lightweight and smaller than other bulky mirror in markets. The best choose for out travel. 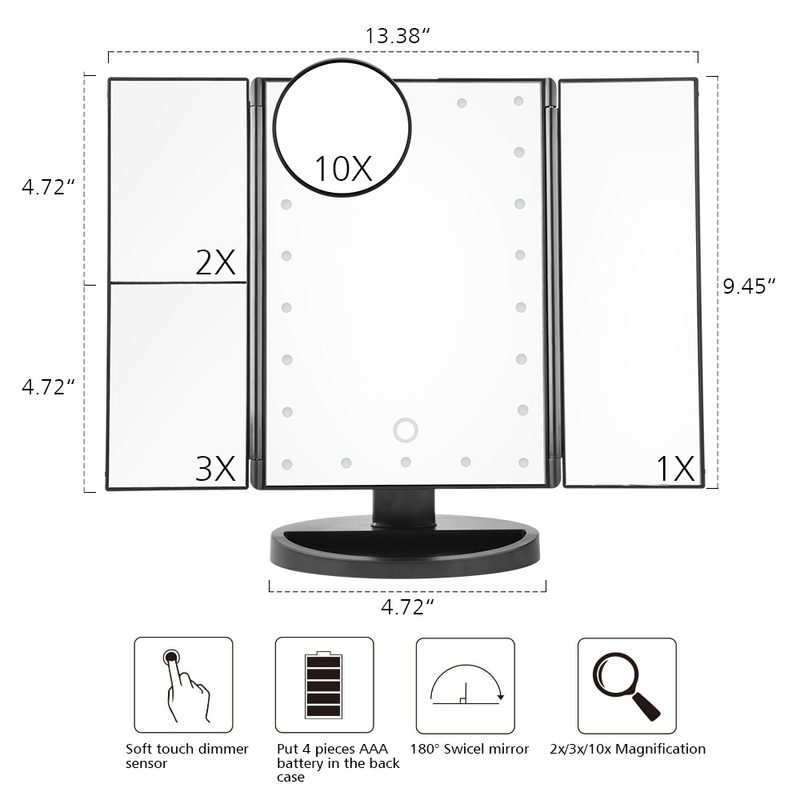 ❤Two Options of Power Supply: The vanity mirror powered by 4 AAA batteries and USB charging. (battery not included, usb cord included). You can charge it through usb cord when you are at home, and choose battery is more convenience if you are going out or just want to move round.